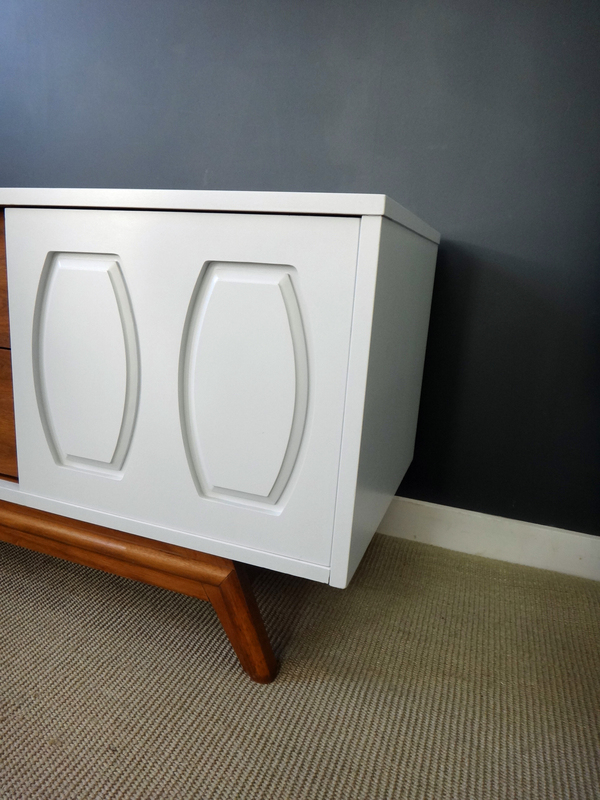 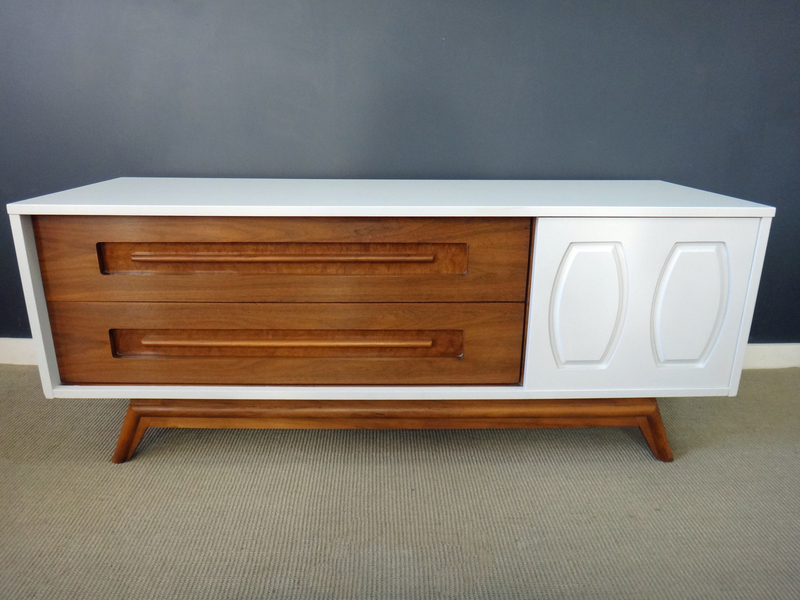 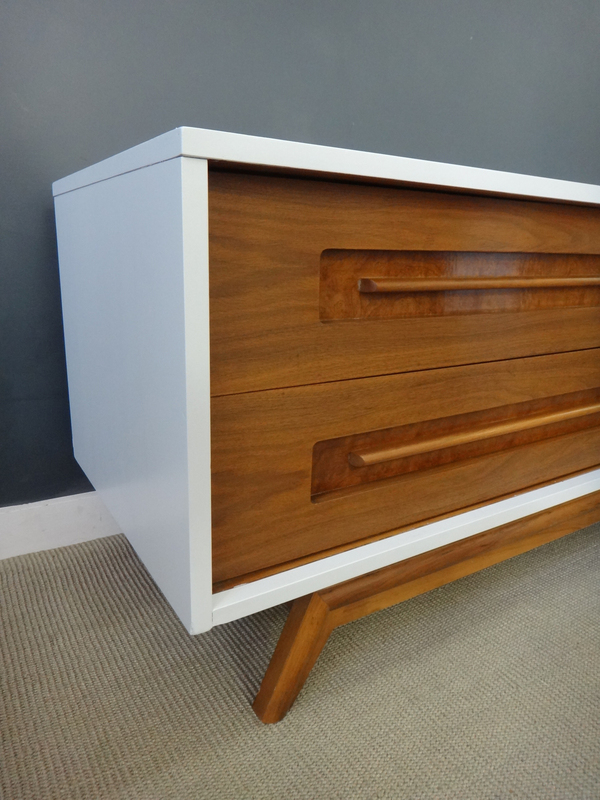 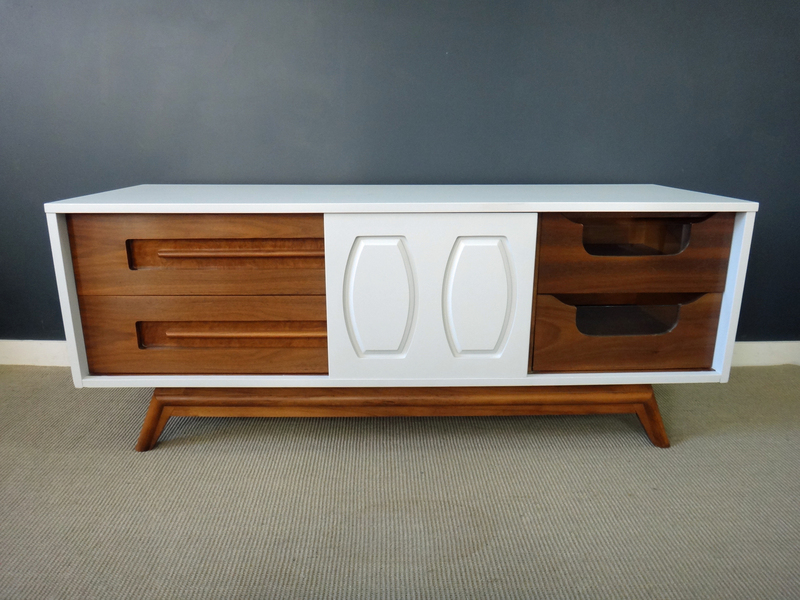 We painted the frame of this mod unit a very pale gray to highlight the walnut and burl drawers. Super sold and sturdy. 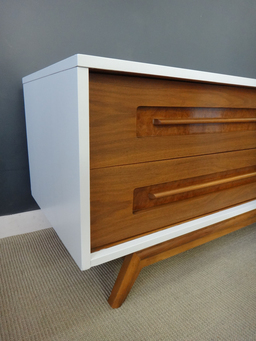 Features two large drawers and two smaller interior drawers with glass insets. 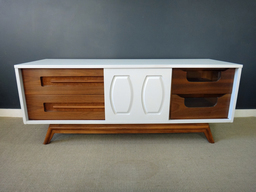 Makes a fabulous TV stand.